The Blue Cash Preferred® Card from American Express (a Money Crashers partner) is a popular cash back rewards credit card with a relatively high annual fee ($95). 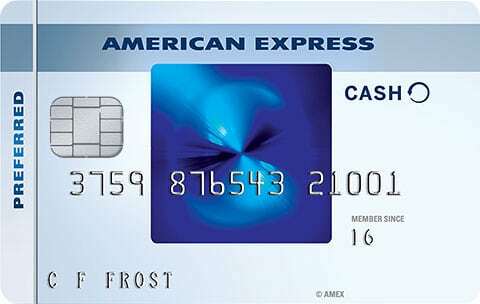 It shares many of the same features and benefits as its stablemate, Blue Cash Everyday from American Express. However, its cash back rewards program is significantly more generous: 6% cash back at U.S. supermarkets, up to $6,000 spent per year; unlimited 3% cash back at U.S. gas stations; and an unlimited 1% cash back everywhere else, including supermarket purchases above the annual spending cap. 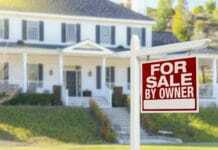 It also has a solid welcome offer and introductory purchase and balance transfer APR offers. Although its rewards are on the generous side, Blue Cash Preferred is comparable to many other mainstream cash back rewards cards. Popular alternatives include Chase Freedom, Discover it (of which there are several varieties), and Capital One Quicksilver Credit Card. Keep in mind that Blue Cash Preferred is one of the only cash back cards that carries an annual fee. When you spend at least $1,000 within three months of signing up, you get a $200 statement credit. U.S. supermarket purchases earn 6% cash back, up to a $6,000 annual spending limit ($360 total cash back per year). After the $6,000 cap, supermarket purchases earn an unlimited 1% cash back. U.S. gas station purchases earn an unlimited 3% cash back, while all other purchases earn an unlimited 1% cash back. Cash back can be redeemed for a statement credit once you clear the $25 redemption minimum, plus gift cards and general merchandise. Note that American Express doesn’t include superstores such as Walmart and Target, nor warehouse club stores such as Costco and Sam’s Club, as “grocery stores” for the purposes of this card. Blue Cash Preferred comes with a 0% APR on purchases and balance transfers for 12 months. Qualifying transfers must be made within 30 days of opening your account. Following the introductory period’s end, the variable APR ranges between 14.49% and 25.49% APR, depending on your personal creditworthiness and prevailing interest rates. There’s a $95 annual fee. The foreign transaction fee is 2.7%. Balance transfers and cash advances cost the greater of $5 or 3% of the transferred or advanced amount. Late and returned payments both cost up to $38. The American Express Blue Cash Preferred has several travel perks: a 24/7 roadside assistance hotline for all travelers, rental car loss and damage insurance coverage for cardholders who charge the full amount of their rentals to the card, 24/7 global concierge service for all cardholders traveling more than 100 miles from home, and accidental death insurance for traveling cardholders. Blue Cash Preferred also has some nice shopping benefits. These include extended warranties on items with original warranties of five years or less, up to $300 in per-item coverage ($1,000 total per calendar year) for returns rejected within 90 days of original purchase, and up to $1,000 in per-item coverage ($50,000 total per calendar year) for items lost or damaged within 90 days of purchase. This card requires excellent credit. If you have any noteworthy credit blemishes, you’re unlikely to be approved. Very Generous Cash Back Rewards. Blue Cash Preferred has one of the most generous cash back rewards programs around: 6% back at U.S. supermarkets (up to $6,000 spent per year), 3% back at U.S. gas stations, and 1% cash back everywhere else. If you can max out the grocery store benefit and spend heavily at gas stations, you’ll more than make up for the annual fee and leave other cards in the dust. By comparison, the Amex EveryDay Preferred – still generous by overall cash back standards, though it carries a $95 annual fee – offers 3x points (worth up to $0.01 apiece) at grocery stores (up to $6,000), 2x points at gas stations, and 1 point per $1 spent everywhere else. Capital One QuicksilverOne Cash Rewards Credit Card ($39 annual fee) earns a flat 1.5% on all purchases. Solid Welcome Offer. Blue Cash Preferred’s $200 welcome offer requires you to spend at least $1,000 in three months, which isn’t an insurmountable hill to climb. Blue Cash Everyday, Preferred’s American Express stablemate, only offers $150 when you spend $1,000 within three months. The difference, however, is that Blue Cash Everyday has no annual fee, so it’s a trade off. Nice Intro APR Promotion for Purchases and Balance Transfers. The 12-month 0% APR promotion for purchases and balance transfers matches offers from popular competitors, including those from Capital One and Barclaycard. Spending Categories Don’t Change. Blue Cash Preferred’s spending categories never change – you can always expect the same cash back earnings at U.S. supermarkets, gas stations, and everywhere else year-round. That’s a welcome change from cards with rotating categories, including Discover it and Chase Freedom. Both of those cards change their 5% cash back categories each quarter, and you need to manually activate them to receive the benefit. However, keep in mind that neither carry annual fees. Gift Card Purchases Can Boost Your Cash Back’s Value. Did you know that American Express will give you cash back on gift card purchases? So if you don’t expect to spend $6,000 per year on groceries, you can still maximize the value of the 6% grocery store cash back offer by purchasing third-party gift cards at the register (which usually don’t come with any added fees). The majority of grocery chains sell a slew of major merchants’ gift cards, including Starbucks, Gap, Home Depot, Shell, Southwest Airlines, and more. Using this method, you can more easily maximize the potential of the card and earn 6% cash back on a variety of different categories. This is a nice advantage over cash back cards that don’t treat grocery store purchases preferentially. Statement Credit Is the Only Cash Back Redemption Option. You can only redeem your accumulated cash back rewards for statement credits, not bank account deposits or paper checks. That’s much more restrictive than Chase Freedom, which lets you redeem cash back for pretty much anything, and Citi Double Cash Card, which offers bank account deposits and paper checks in addition to statement credits. Keep in mind that you can redeem your accumulated cash back points for non-cash items gift cards and general merchandise here. Annual Fee & Foreign Transaction Fee. Blue Cash Preferred’s $95 annual fee is somewhat unusual in the cash back card world. It’s a significant drawback for cardholders who don’t spend enough to justify the outlay – for example, you would need to spend $1,250 extra per year in the 6% cash back category to offset this fee. Meanwhile, the foreign transaction fee is a bummer for frequent international travelers. Bank Americard Cash Rewards, Capital One Quicksilver Cash Rewards Credit Card, Discover it, and Citi Double Cash all lack annual fees. Discover it and Capital One Quicksilver don’t have foreign transaction fees either. Charges Penalty Interest. Blue Cash Preferred’s high penalty APR stands in unfavorable contrast to the nonexistent penalty APRs of Chase Freedom and Discover it. Higher Redemption Threshold. You need to earn at least $25 in cash back to redeem your accumulated rewards for statement credits. Many fellow cash back cards have no redemption minimums. Requires Excellent Credit. American Express doesn’t go into great detail about Blue Cash Preferred’s approval process, and doesn’t specify the minimum credit score that applicants need to attain to be considered for card membership. However, the company makes no secret of the fact that Blue Cash Preferred requires excellent credit. If you have a few blemishes on your credit report, opt for a less generous card with looser underwriting standards, such as Chase Freedom or Discover it, and work on building your credit history. The Blue Cash Preferred® Card from American Express has one of the most generous rewards programs of any cash back credit card, but there’s a catch: the $95 annual fee. If you don’t spend enough at the supermarket to approach or exceed the $6,000 annual spending limit, or don’t shop frequently at U.S. gas stations, consider a no-annual-fee cash back credit card with similar, less generous benefits, such as Blue Cash Everyday. Alternatively, opt for a category-based rewards card, such as Chase Freedom or Discover it – both of which make up for less generous overall cash back benefits with rotating 5% cash back categories and less exacting credit score requirements. The Blue Cash Preferred® Card from American Express is great for heavy spenders who can focus their financial firepower at the grocery store and gas station, and earn rewards quickly enough to neutralize the $95 annual fee. Thanks to a great balance transfer promotion, it’s also great for cash back reward lovers who wish to transfer high-interest balances from other credit cards. 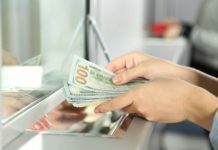 Blue Cash Preferred isn’t ideal for people with less than excellent credit, light to moderate spenders who can’t rack up rewards quickly enough to justify the annual fee, and people who travel abroad frequently. Super-generous cash back rewards, solid welcome offer, great intro APR promotion, and static spending categories are big pluses. The annual fee, penalty APR, foreign transaction fee, inflexible redemption, and high credit requirements hurt.